Built by the Sun King Louis XIV from 1662 to 1690 as a monument to harmony, symmetry, power, grandeur, and… himself, Versailles is the world’s grandest palace. The lavish Baroque chateau and extensive garden grounds convey a sense of magnitude, style, and grace. It was here that power politics met artful splendor, here that Louis XIV transformed his father’s hunting grounds into the center of the Western world and the perfect symbol of absolute monarchy. Stroll through the Hall of Mirrors and visit the luxurious apartments of the king and queen in the immense palace, then explore the classical gardens, fountains, gazebos and statues on the chateau grounds by foot and by horse-drawn carriage. Versailles was the setting for the treaties that ended World War I and the American Revolution, the canvas where the mastermind landscaper Andre Le Notre displayed his full imaginative talent, and the place where King Louis XVI and his queen Marie Antoinette heard the news in 1789 that the Parisian crowds were coming to take them to the guillotine. The grounds are huge and there are several different areas to visit (with many different entry fees). Entry to the palace itself is around 8 euro, guided tours extra, and the gardens are another 3 euro (more in high season) but are well worth it; this gives you access to the fountains, statues, basin, and far-reaching views that the nobles of France once enjoyed. For lunch take a picnic, dine in the gardens next to the Grand Canal at La Flotille, a late 19th century pavilion with a nice terrace and spectacular view, or wander into the town of Versailles for your choice of cafes and restaurants. HOW TO GET THERE: Take the RER C from any RER C stop in Paris westward until you get to the end of the line, “Versailles R.G.”. Be sure you get on a train whose name starts with ‘V’ like Victor, as not all trains go all the way to Versailles. The round-trip ride costs about 6 euro and takes about half and hour to get there. Join centuries of pilgrims as you travel to Chartres to gaze in wonder at the intricate stories in the brilliant blue stained glass windows and follow the labyrinth in the nave floor. Notre-Dame de Chartres was built in an almost pure Gothic style in only sixty-six years (extremely quick by cathedral standards!) to house the veil of the Virgin Mary which was miraculously unharmed when the previous church burned to the ground in 1194. Chartres soon became one of the major pilgrimage sites of the Middle Ages and continues to be a draw for devotees of Our Lady and architecture alike. To get the most out of your visit, book a tour with Malcolm Miller, the renowned guide who has devoted his life to the cathedral and who can elucidate the stories of the Bible and the saints in the recently restored stained glass windows. After admiring the workmanship in the statuary and over 170 windows, climb the north tower (around 5 euro) for a great view of medieval Chartres and the farmland beyond. When you’ve had your fill of the cathedral, stroll down to the river, where you can wander around the medieval garden of the monastery and see washerwomen’s platforms (in use until the 1960’s). Don’t forget the upper village either, there is a nice market square, plenty of shops, and streets with names like ‘rue de la Poissonnerie’ (Fish Road) and ‘rue de la Petite Cordonnerie’ (Shoemaker’s Road) which bring to mind the medieval market life of the village. The cathedral, like most churches in France, is free to visit but donations are always appreciated. Just a short train ride from Paris you can wander through the flowers, wonder at the waterlillies, and cross the Japanese footbridge which inspired one of France’s greatest art innovators. Claude Monet made Giverny his home for the last 43 years of his life during which time he produced numerous masterpieces of light and color. The gardens today are still arranged the way the Impressionist laid them out and the result of his artistic genius is one of the most beautiful gardens in the world. Also visit Monet’s house with his collection of Japanese prints that complement the cottage perfectly, which, like the gardens, is a work of art as well: a cozy pink stucco home with green shutters, blue-tiled kitchen, and sunny yellow dining room. Though Giverny is open from April through October, the gardens are at their best in late spring, when flaming red poppies, bright pink roses, and perky tulips combine in an overflowing symphony of color. Try to avoid visiting on weekends in July and August when the crowds are considerable. Whichever season you choose, try to arrive early or late in the day for the most insightful experience. Admission to the house and gardens is about 6 euro. HOW TO GET THERE: The best option if you are not renting a car is to take the train (about 40 euro roundtrip) headed to Rouen from Paris Gare St-Lazare (Monet painted this train station as well; the steam from the locomotives created an artful blur which the painter took advantage of). Get off the train at Vernon; from here you can either catch the bus, take a taxi, rent a bike or walk the 4 miles to the gardens. That is what the now-famous monk Dom Perignon exclaimed when he realized that he had just discovered how to make sparking wine, or champagne, from the grapes of his monastery; truly a glorious day in the history of Catholicism! His laudable feat is celebrated and retold in the stained glass of Reims’ Notre Dame Cathedral which has been refurbished since a hard hit in World War II (restoration works still in progress). The most beautiful windows in this cathedral, however, are the three in the farthest chapel, straight back, which were designed by the Russian Jewish modern artist, Marc Chagall. This high-Gothic cathedral is also renowned for its royal history, as twenty-four French kings were crowned here, from Louis VIII in 1223 to Charles X in 1825. It was the site where the early Frankish King Clovis was baptized in 496 and where a young Joan of Arc lead the obdurate Dauphin to the throne to be crowned King Charles VII. As interesting as French history can be for some of us, most travelers journey to Champagne not to immerse themselves in royal lore, but to imbibe the region’s namesake libation, champagne. Just the name conjures up ideas of celebration and good times, and a tour and tasting at a local cellar is an essential experience. Don’t like the bubbly? Don’t worry, you will once you learn how the chalky soil of the Champagne-Ardennes region is unique in the world, walk through the underground pits left by the Romans who needed the stone, gaze at the thousands of green bottles, all still turned by hand, and finally taste the best champagne, in Champagne. You won’t be disappointed. There are many cellars in Reims open for tours, Taittinger is my favorite but Mumm, and Maxim’s are good visits as well, and if you are really into it you can travel to Epernay, where Dom made his discovery and Moet et Chandon make their version today. Cellar tours with tasting cost about 13 euro per person. HOW TO GET THERE: Take the train from Paris Gare de l’Est, there are about 12 trains per day which run the 90 minute trip and cost about 75 euro round trip. Almost all of the tourist sites are within walking distance from the train station and cathedral. Even though an ambling journey through the Loire Valley could be a vacation all its own, a day trip to two of the region’s most beautiful chateaux will give you a good feeling for the lavish lifestyles of France’s royalty and nobility from the Renaissance onward. The word chateau doesn’t exactly translate into English; certainly not a medieval castle, a chateau is a very French combination of mansion, fortress, palatial estate and party house. During the Hundred Year’s war with England, Paris was just a little too far north for comfort, so the French nobles relocated to the gentle, fertile Loire Valley where they could indulge their extravagant tastes far from English soldiers (or Parisian hoards, for that matter). The Chateau d’Amboise was most famously the residence of Francois I, the French King who brought the Italian Renaissance (and Leonardo da Vinci) to France and who procured the Mona Lisa which began a small art collection that has grown just a bit and now resides in the Louvre. Overlooking the river Loire and the narrow streets of the modern village, the chateau in part was designed by da Vinci who now rests eternally in the small Gothic chapel beside it. Though the furnishings inside the palace leave something to be desired, the views of the peaceful Loire river and the surrounding town and countryside certainly merit the entry fee, as does a glimpse at the humble plaque marking the final resting place of one of the world’s greatest geniuses. Entry is about 8 euro per person. Chenonceau is the most beautiful and romantic chateau in France. Built across the river Cher, this graceful 16th century estate beckons the traveler to explore its many facets, from the living labyrinth to the wine cellar to the plush bedrooms to the once-working kitchen to the farm, complete with donkeys who just love a good scratching. The two large flower gardens which herald the chateau belonged to two women, the wife and the mistress of King Henri II, who had given the mansion to the latter (Diane de Poitiers). When Henri died, however, the wife (Catherine de’Medici) gave Diane the boot, took up residence herself and built a much larger flower garden. The smell of fresh flower bouquets permeate the elegant rooms of the chateau which do not disappoint in their consummate representation of chateau lifestyle. The bridge portion of the palace is a grand ballroom where you can easily imagine yourself gliding across the smooth dance floor, and where fighters of the French Resistance crossed the river in World War II when all other bridges had been destroyed. Chenonceau is popular, so try to avoid the high season, weekends, and mid-day if at all possible for a more intimate experience. Entry is about 8 euro per person. HOW TO GET TO THE LOIRE VALLEY: Although renting a car is the best way to explore the region, it can be done from Paris by train as a day trip, if you plan carefully. From Gare Austerlitz in Paris, catch an early train to Amboise, about 65 euro roundtrip. From Amboise there is one roundtrip bus per day to Chenonceau which leaves Amboise around 10:50 and returns at 12:40, giving you about an hour and a half to explore the chateau and its grounds (cost: 3 euro roundtrip). Upon your return, have lunch and visit the chateau of Amboise before returning home to Paris. Another less-stress option: book a tour from Paris which will put you in a group but will facilitate your sightseeing. Costing about $130, a bus tour can be booked online or with your Paris hotel (ask the concierge). 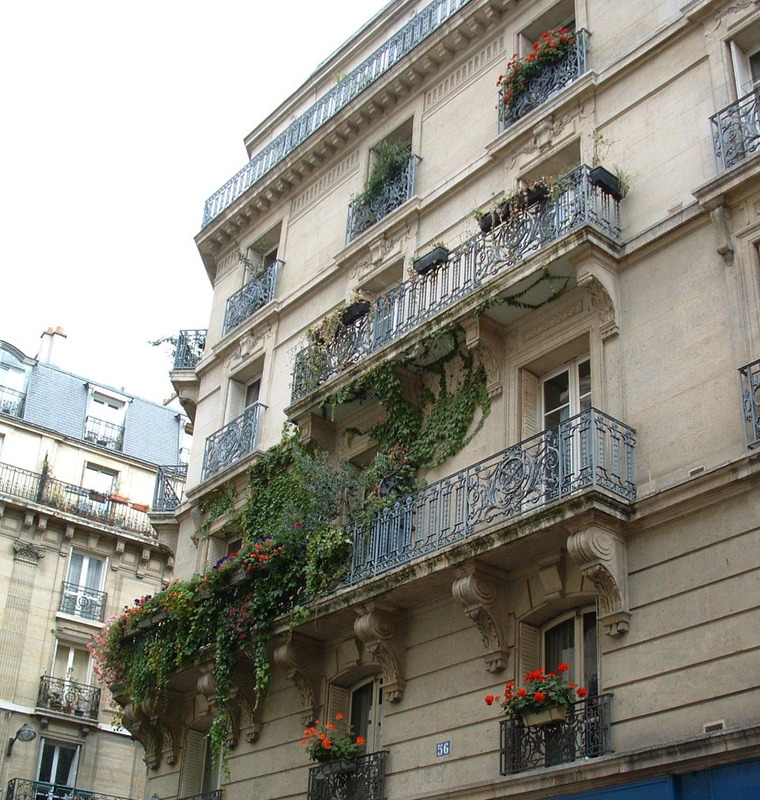 Categories: Paris and France | Tags: paris day trips | Permalink.